The Air Force Small Business Innovation Research/Small Business Technology Transfer (SBIR/STTR) program office is providing nearly $750,000 to further mature a portable micro-discharge ozone generator, capable of purifying and decontaminating water. The generator, developed jointly by Physical Sciences Inc. in Andover, Massachusetts, and Tufts University in Medford, Massachusetts, is expected to offer maintenance and system voltage improvements over conventional ozone generators. “Maturation of this technology is expected to result in portable water purification systems for remote air fields, as well as portable biological and chemical agent decontamination devices,” said Dr. Steve Adams, the Air Force Research Laboratory researcher managing the project. 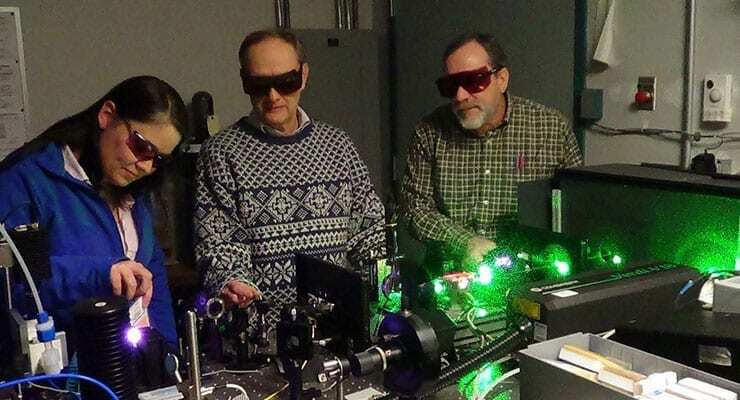 An associated rare-gas microplasma laser effort will scale the power up to demonstrate the potential for meeting weapons-grade power objectives. “We’ll also apply the technology concepts to an effort that replaces corrosive gas lasers with innovative inert gas lasers. The ability to replace those lasers will greatly reduce laser operational maintenance requirements and the logistics associated with those systems,” Adams said. In addition to the STTR funding, this program leverages more than $300,000 in funds from the High Energy Laser Joint Technology Office. As the technology matures, the investigators plan to seek additional funds from other Department of Defense agencies for scaling devices to field applications. These funds will help to ensure the Phase II project graduates into a Phase III program that successfully transitions its technologies into military or private sectors. Previous article Gauging Preparedness: Are We Ready to Respond?